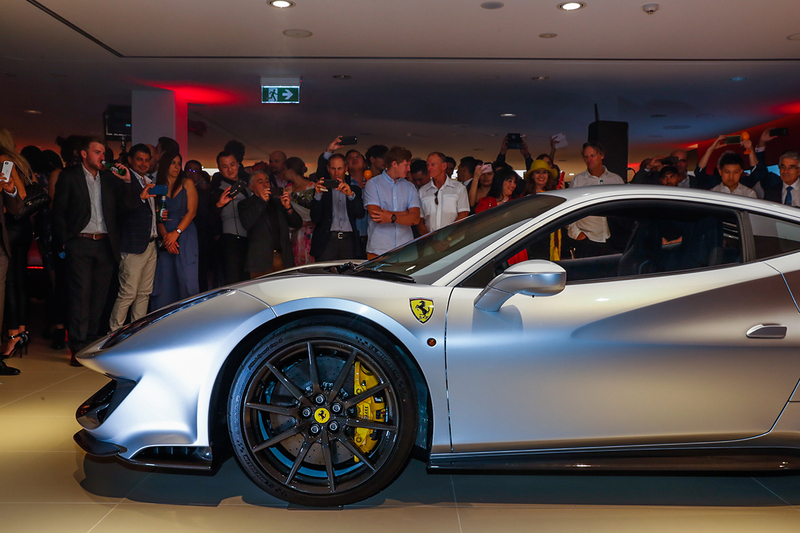 Ferrari returns to Sydney’s North Shore after 50 years with an extravagant reveal of the 488 Pista and 488 Spider. 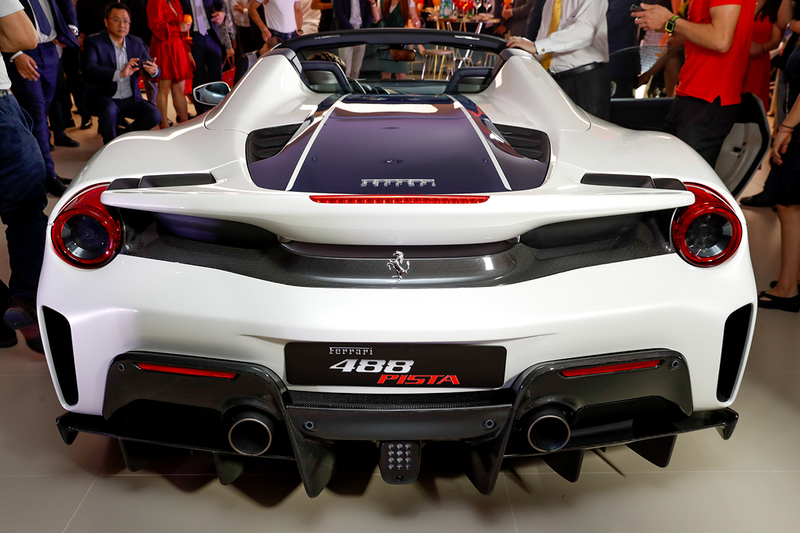 Pluming from under the fresh wheels of the sleek Ferrari 488 Spider, the smoky fumes filled the brand-new Sydney showroom as the powerful engine rattled the spines of more than 200 motoring aficionados, creating a show-stopping entrance unlikely to be forgotten. 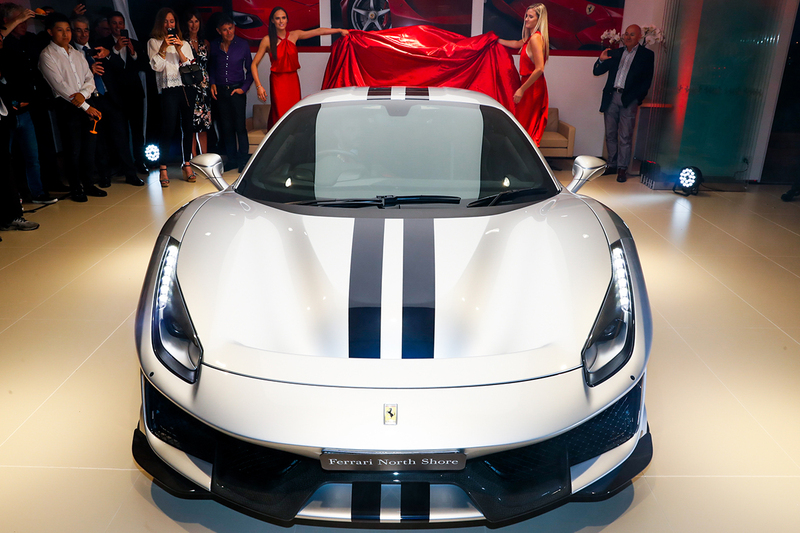 In celebration of Ferrari’s return to the North Shore after 50 years, the impressive display was married with an exclusive unveiling of the Ferrari 488 Pista in the world’s newest Prancing Horse showroom at McCarroll’s Automotive Group. 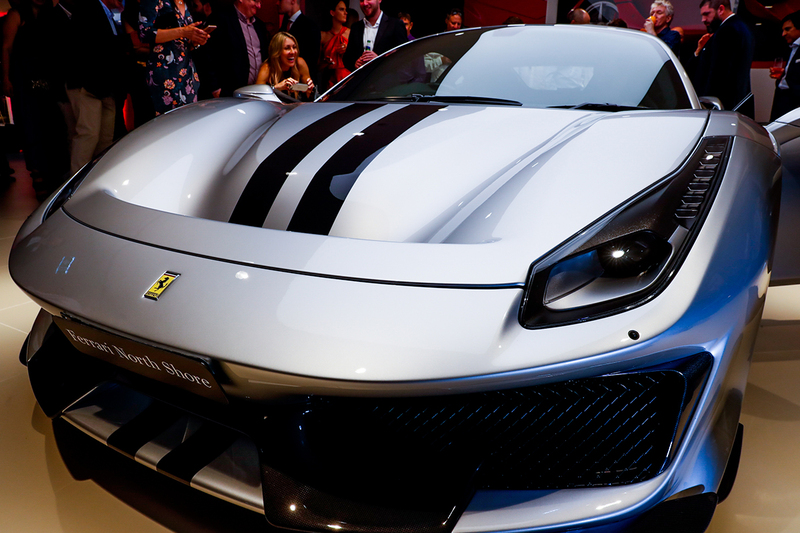 The McCarroll's family, who established the Group 40 years ago, worked closely with local and Italian architects to transform the second floor of the dealership into a space that oozes Italian luxe. 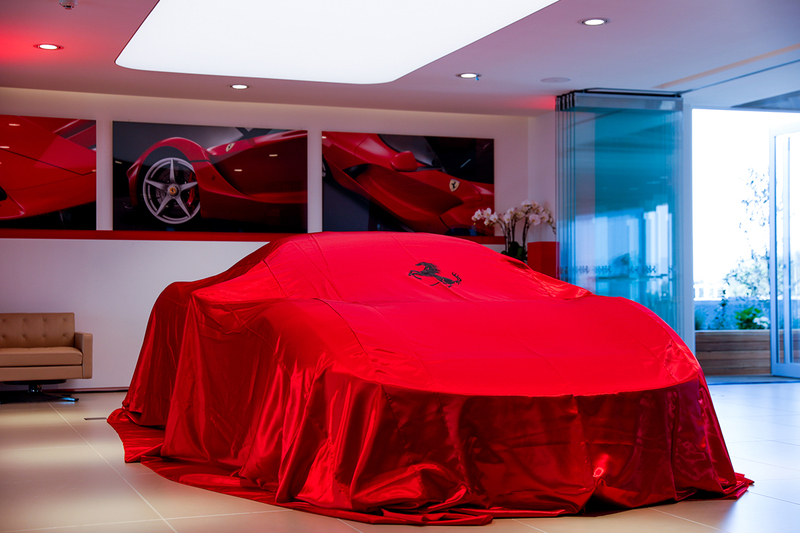 Slated as one of the best showrooms in the world, it features a shower in the bathroom, a kitchen (for those who want to host events surrounded by the luxury cars), outdoor terrace, pristine gardens and a personalisation room for motor aficionados to create their dream set of wheels. 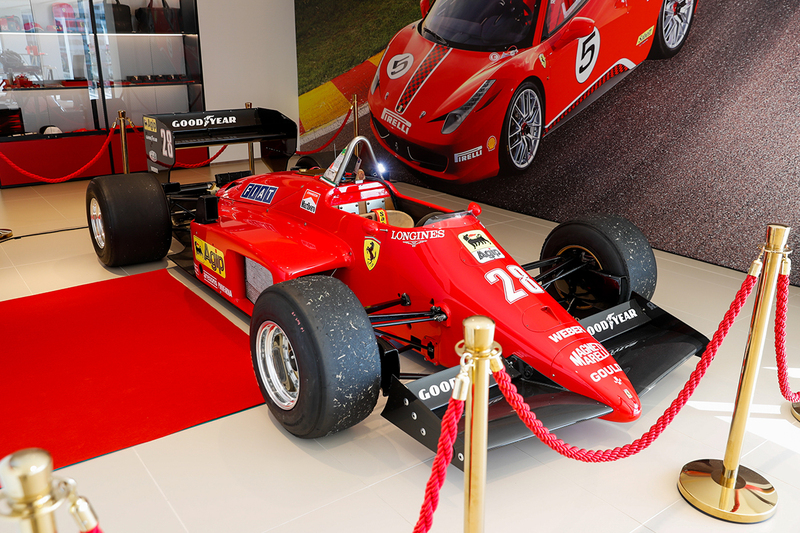 For a seamless Ferrari experience, Formula 1® paddock club access, challenge series participation and classic car restoration are also offered at the dealership. 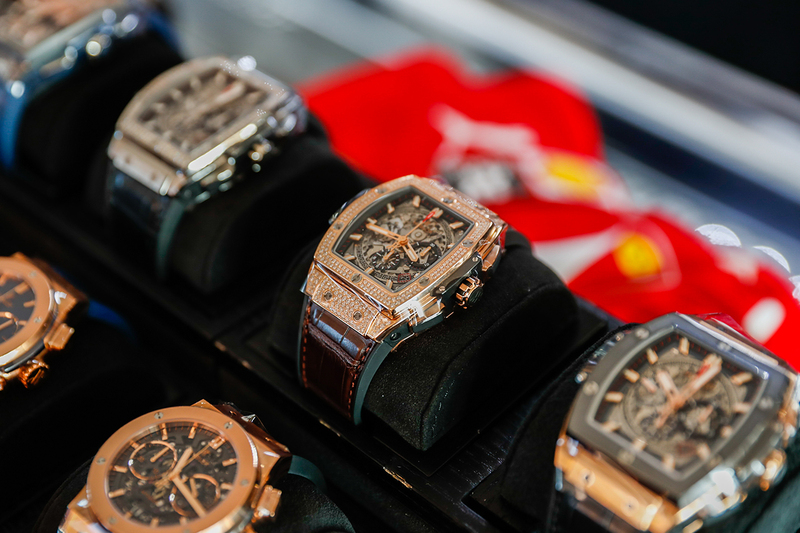 Flowing Veuve Clicquot and Peroni, freshly sliced prosciutto, a Ferrari-sized wheel of parmigiano, beetroot and goat’s cheese tortellini, 36-month Parmigiano-Reggiano vacche rosse risotto, and Domori chocolate tarts with mascarpone and raspberry were served by waiters who floated between the Ferrari models just as if you were in the heart of Italy. 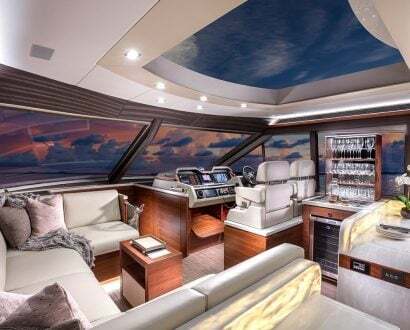 Hues of the Prancing Horse’s signature shade illuminated the expansive space and was reflected outside as the floor-to-ceiling glass windows revealed the rosy glow of a summer sunset. 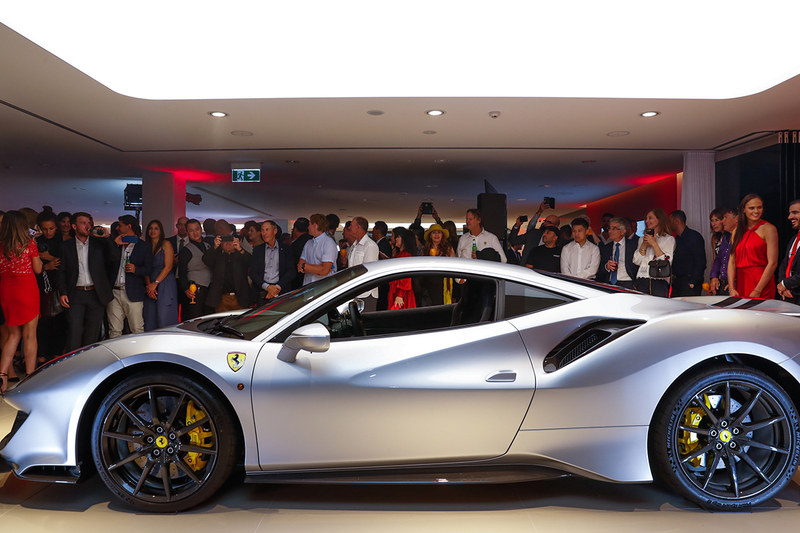 At the end of the red carpet DJ Wildflower played celebrative tones while the guests relaxed in the Ferrari bar, basked in the Hublot display and ogled the iconic cars – a sentimental moment for diehard fans. 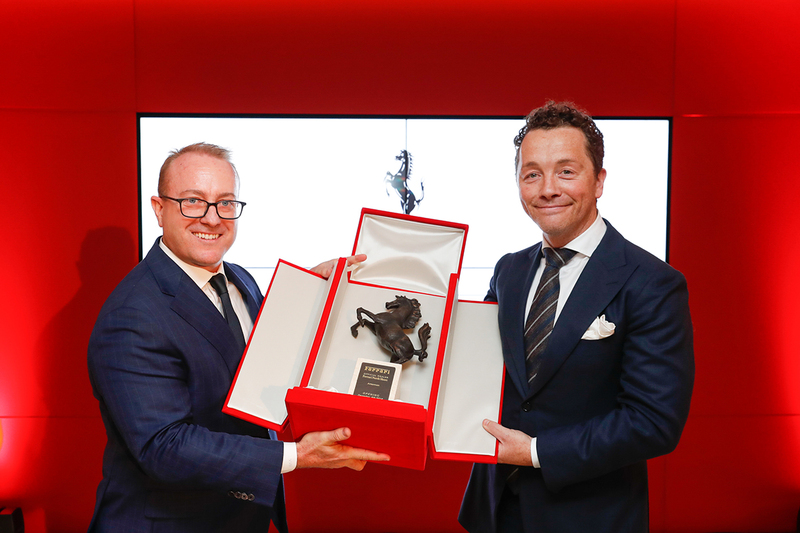 “For me it’s quite an emotional evening,” Appleroth says. 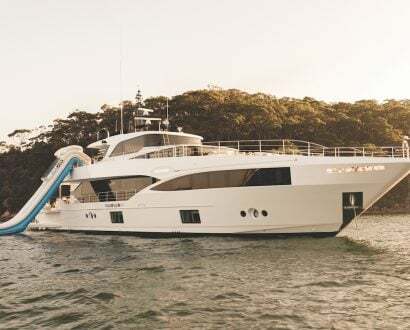 “It was probably 30 years ago when I used to travel by train to Lindfield, New South Wales, and press my nose against the glass and dream of what was inside and luckily for me, that dream came true. 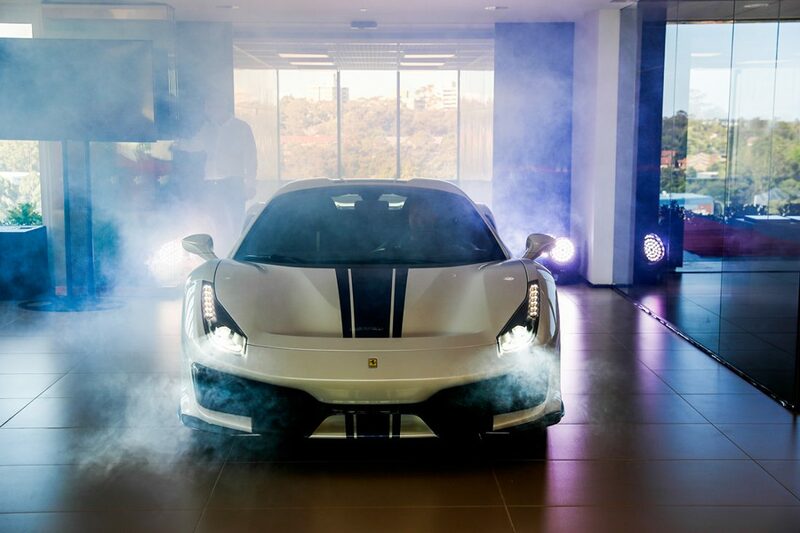 While the Prancing Horse has a long-standing history in Australia – the first car arrived five years after the first Ferrari was built in 1947 – the North Shore showroom is one of only two dealers in Australia to be an authorised classic dealer. 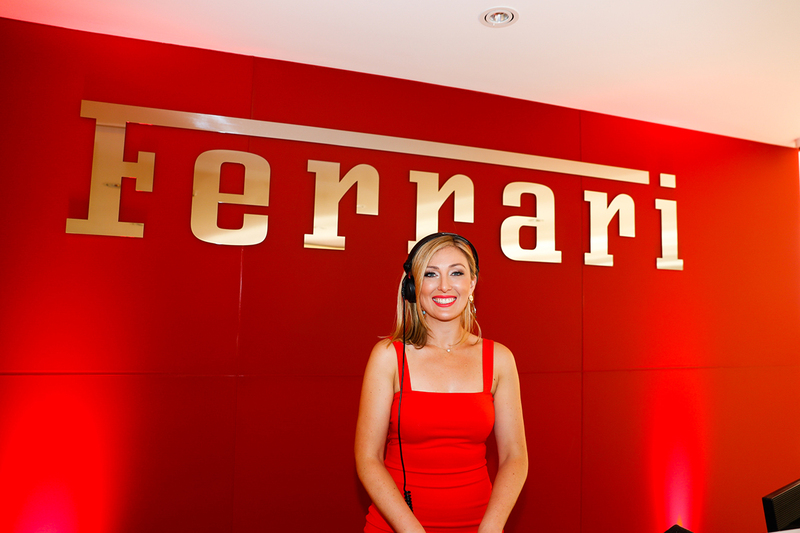 This allows it to be a resource for restoration to repair heritage Ferrari models. 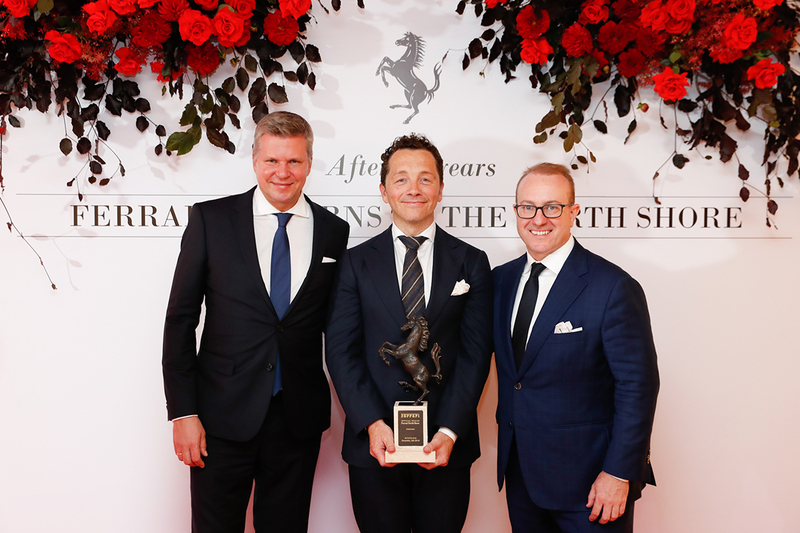 Having both owned a Ferrari before they joined the corporate family, McCarroll and Appleroth did not build the showroom just for tomorrow but for the next decade.